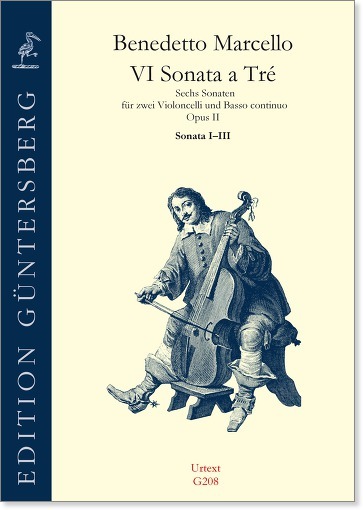 These sonatas from the Italian Late Baroque, which a part of the standard repertoire for cellists, are published here as an Urtext edition without arbitrary alterations, additions, and “adaptations” by the editor. Errors have been corrected and several small modifications made for better legibility and to conform to modern notational usage. Various formations are conceivable for these sonatas. 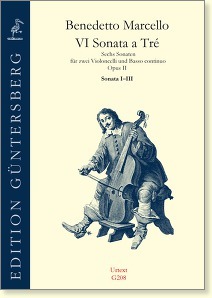 A rendition on two violoncelli and continuo harpsichord would be first and foremost. Optimal would be an additional continuo cello. However, a pure string trio would also be charming.